B.Com. and M.A. History (University of Jammu). M.Sc. Development Studies (Bath, U.K.), 1997-98. Certificate of Advanced Study in Public Administration, Maxwell School, Syracuse, USA (2010). Was awarded six gold medals. As an IAS Officer, he was trained in India, the Netherlands, Thailand and Singapore, besides Cambridge and Harvard. Has held many key assignments both in the field and at the policy-planning levels in the State and at the Centre, notably Deputy Commissioner, Rajouri, Director Information and PR, Secretary to the State Govt. in the Departments of Rural Development and Panchayats, PWD, Transport, Higher and Technical Education, etc., Divisional Commissioner, Jammu, Chief Electoral Officer, J&K, Financial Commissioner (Revenue), Financial Commissioner (Agriculture), Joint Secretary, Ministry of Culture, Govt. of India and Vice- Chairman & Director General J&K IMPARD. 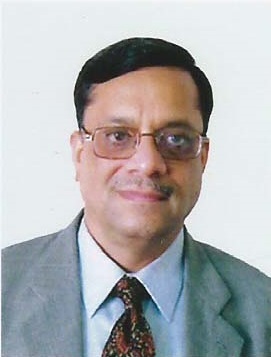 As the Chief Electoral Officer of J&K (2000-2003), he was responsible for conducting the panchayat elections 2001 in the State after a gap of 23 years. His contribution in organizing the J&K Assembly Election, 2002 was acknowledged globally and brought a lot of goodwill to India. He was also an International Observer in the Sri Lankan Parliamentary Election, 2001. He has published two books and spoken in international conferences including at Stockholm and Oxford. He has also written several papers on issues of importance in administration. His research interests include participation, leadership, governance and electoral affairs. As senior Joint Secretary in GoI, he spearheaded museum reforms and strengthened international culture relations, besides organizing over 10 Festivals of India abroad. He has traveled extensively inside and outside India.